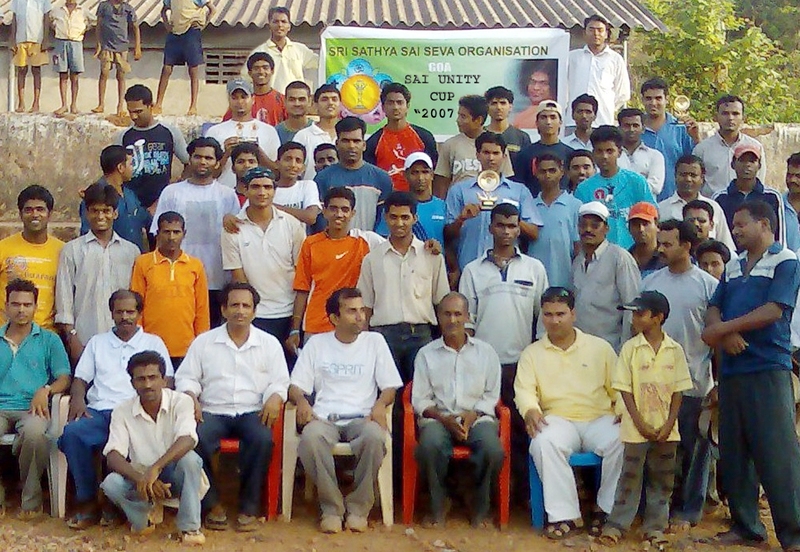 Sai Unity Cup- Group photo 2007. Around Eight teams participated in this One-day Knock out match. Sai Kundaim Cricketers were the winners, while Sai Ponda Cricketers won the second position. 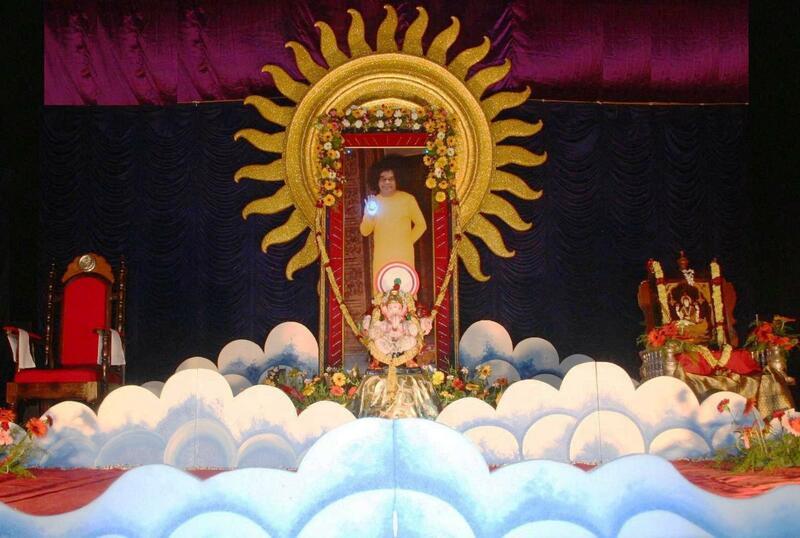 Easwaramma Day Celebration in Sneha Mandir, Ponda (6 May 2007): was one of the most memorable functions. Youths had conducted various programs for the aged citizen. Also a highly praised one-act play was performed by them. 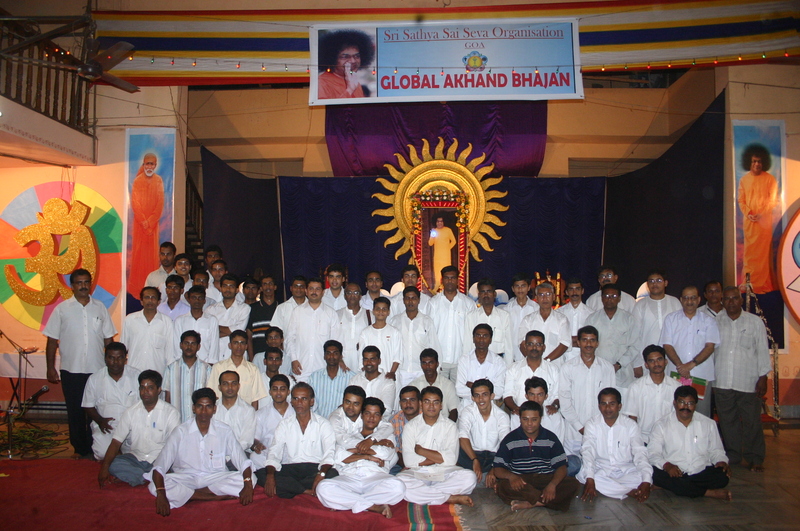 Above is a group photo of sai youths. Sai Ram. 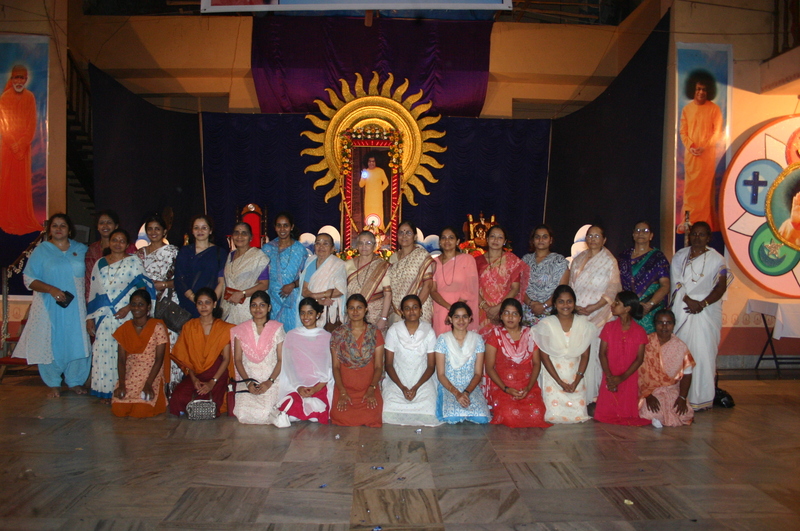 The Akhanda Bhajan in Panjim was celebrated in the month of November (2007). Quality decoration and Sound system still bring smiles on those faces who had witness it. Below are the group photo of Youths. 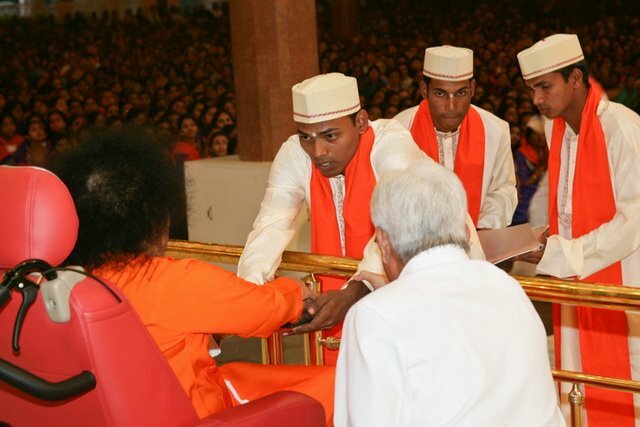 Maharashtra and Goa Youth Conference: Hundreds of youths from Maharastra and Goa flooded into the Kulwant hall in Prashanti Nilayam to recieve the blessing of Sri Sathya Sai Baba. 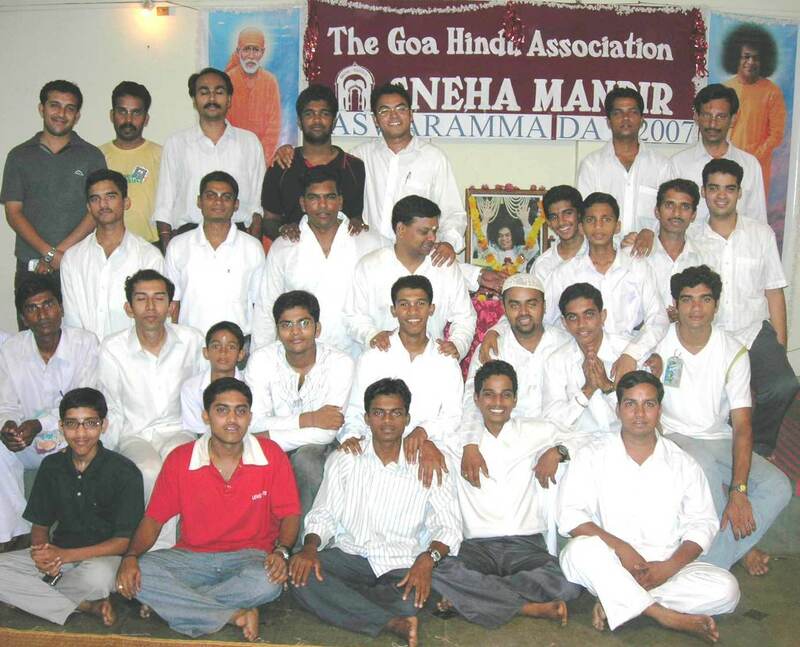 Above is a photo of Goan Youths with Swami. Margao Medical Camp (Feb 2008): Medical Camp is Margao province witnessed more than 200 patients. Each was diagnosed and prescribed with medicine for free. Also Narayana seva was performed. Above is the group photo of some of the participated youths. Truly, Great Service. SaiRam. 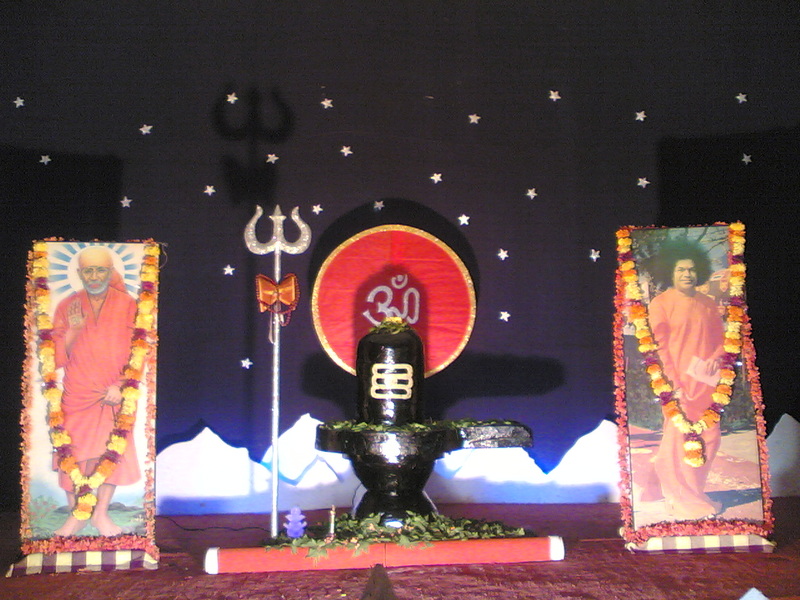 Mahashivaratri Akhanda Bhajan (6/3/08) : Those fortunate ones who had attended the blissful event of Mahashivaratri Akhanda bhajan will tell you their happy experiences. Bhajans were sung for a continuous 12 hour in Shree Hanuman Temple Hall at Kundaim. Events recorded from March 2007 to March 2008. ← Why is it necessary to be born as human beings in this world in order to attain ‘Moksha’ and bind away from the cycle of life and Death? Cool Memories! Hats off for you guys.